To prepare the horseradish mayo; in a small bowl mix all the ingredients together. Spread the bread slices with the mayo. Add the lettuce, roast beef, cheese and mushroom mixture (if used) and mustard (if used). 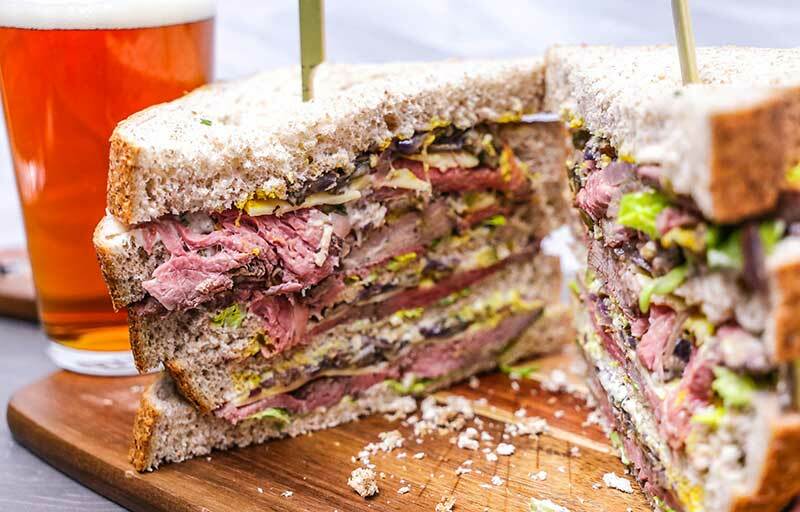 Sandwich together to make the ultimate roast beef butty. Cut in half and secure with a wooden skewer, if required. Secure with a cocktail stick if necessary and serve with ale or cider and a salad garnish.